Los Angeles! It’s that time of the year again. The 5th Annual All-Star Chef Classic is returning this March 7-10, 2018 at LA Live. This year, the event announces the introduction of the Vegetable Masters Dinner presented by Blue Shield of California, BBVA Compass Spanish Masters Dinner, All-Star Women Masters Dinner, and Middle East Feast, a new strolling event exalting the vast and diverse cuisine of the region. Returning to L.A. LIVE’s custom-built Event Deck, which includes Restaurant StadiumTM by Pacific Sales and the Chefs’ Tasting ArenaTM, will be the American Masters Dinner – this year spotlighting America’s exemplary immigrant talent – as well as Little Masters and Grill & Chill presented by Pacific Sales and Stella Artois. Restaurant Stadium’s 300-plus seats bring fans “kitchen-side,” allowing them an intimate and memorable culinary venture. Here’s some of last year’s bites to wet your palette. Thursday, March 1, 2018 returning to Santa Monica’s Barker Hangar. Guests of the beloved event will enjoy hundreds of gourmet food and drink samples from over 150 of Southern California’s best restaurants, caterers and libation purveyors, all in support of Planned Parenthood Los Angeles (PPLA). “Food Fare raises crucial funds to ensure PPLA’s doors stay open to the women, men, and young people who rely on us for essential reproductive health care. We are grateful to our dedicated volunteers and community of supporters who, over the last four decades, have helped grow Food Fare into the important event it is today,” said Sue Dunlap, President & CEO, Planned Parenthood Los Angeles. 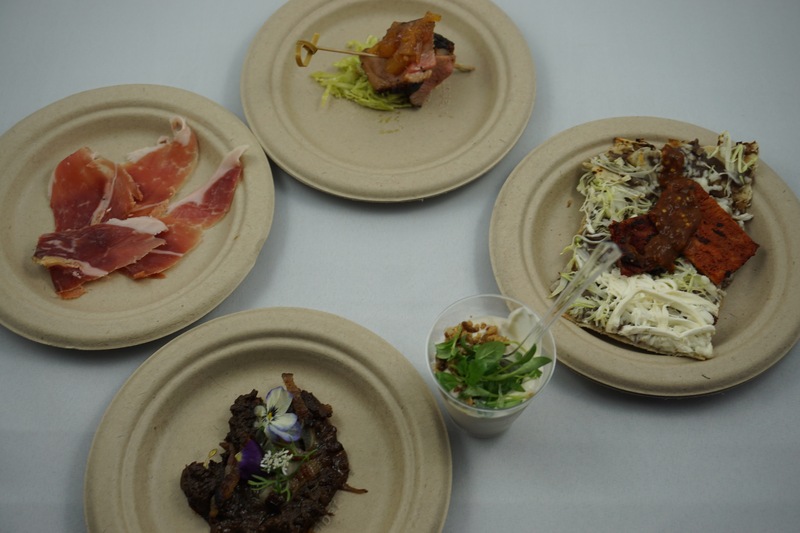 Individual tickets for Food Fare are available at http://www.pplafoodfare.com. Advance purchase tickets for Food Fare 2018 are $150 for the daytime session (11:00 AM – 2:00 PM) and $350 for the evening session (6:30 PM – 9:30 PM). PPLA Food Fare 2018 will take place on Thursday, March 1, 2018 at Barker Hangar located at 3021 Airport Ave, Santa Monica, CA 90405. All Star Chef Classic is returning to LA Live on March 8-11-2017 for a four- day exclusive culinary experience showcasing some of the best chefs in the world! Guests will have the opportunity to meet & mingle with chefs and eat some of their best dishes. This year, the festival announces an expanded list of events including Masters Dinners and Strolling Events. You can find information on all events HERE. Below are some photos I took from last year’s All Star Chef Classic. Trust me, you don’t want to miss out! Los Angeles Foodie Girl will be attending both Southern Eats and Grill & Chill this year. Hope to see you there! Los Angeles magazine’s annual Best New Restaurants Celebration is back to celebrate the Top 10 Best New Restaurants featured in the January issue as well as past honorees. This exciting evening will include incredible gourmet tastings from celebrity chefs, crafted cocktails, wine, and live music. This event is one you don’t want to miss!